Defend your territory against any foe with the Godegisel Stage Combat Sword. This fearsome blade, inspired by the swords of ancient Germanic warriors, has been made safe for stage combat with its blunted edges and rounded tip. 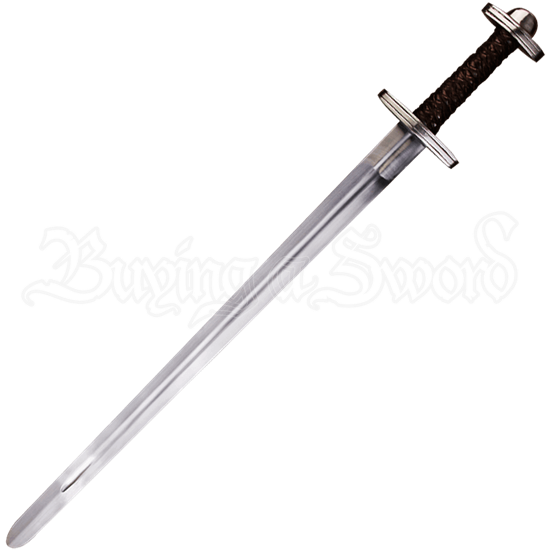 Made of high-quality spring steel, this combat weapon features a fuller down the length of its blade that ends in a short cross guard decorated with austere straight lines that match the detail on the pommel. 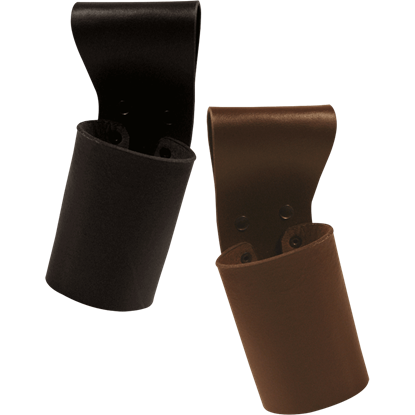 A braided, dark leather cord adorns the grip, adding rustic style to the historic sword. Wield this stage combat sword during production for authentic but safe battles, or let its historically inspired appearance add essential detail to your reenactment costume. Any minor notches seen along the blade are not defects but are the result of resistance testing. For ancient warriors fond of fighting it out, the Godegisel Stage Combat Sword is a worthy stage weapon to have on hand. A sword makes a fantastic companion, and oftentimes, it becomes more to its wielder than just a means of self-defense. Treat your sword with the respect it deserves by hanging it at your hip from the stylish Doran Sword Frog.